Humans have called this area home for nearly thirteen millennia. Many of the same resources that attracted the first inhabitants continue to sustain today's Augustans. The events, forces, and persons that have shaped our community are presented in Augusta's Story. 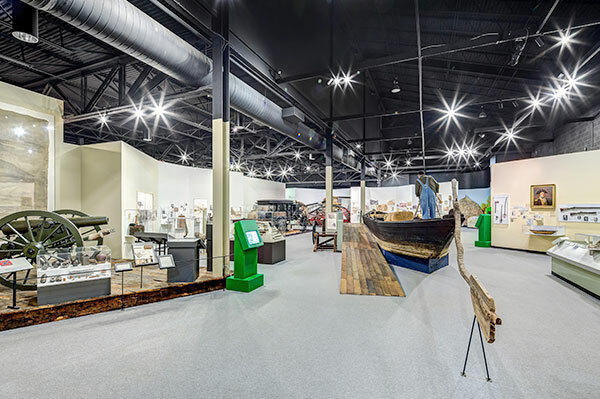 This award-winning permanent exhibition presents 12,000 years of local history, including the area's first Native Americans, the Federal Era, Antebellum period, Civil War, Reconstruction, the making of a New South, and much more. A train, trolley, fire engine, and Ford Model T line this streetscape exhibit. Walk the streets of Augusta and discover how transportation has changed from the 1800s to the present. 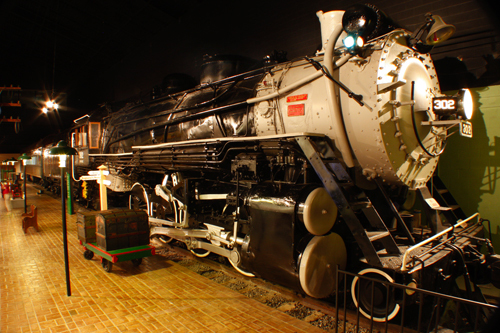 This popular exhibit allows visitors a chance to interact with the past. The job of maintaining order in the American colonies was given to Justices of the Peace, but, as colonies changed into towns and towns into cities, the Justice of the Peace system was not enough. It became time for an organized, and paid, police force. Fires were also a major problem in early America, and local organized fire fighting units were needed in order to keep small fires from engulfing entire cities. 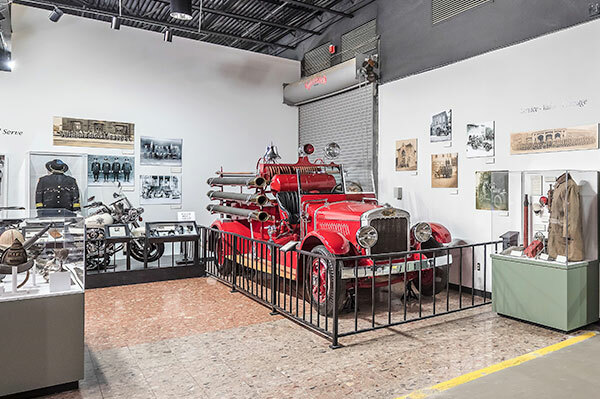 This exhibit displays the history of both the police force and fire fighting force in Augusta from its inception to the present. 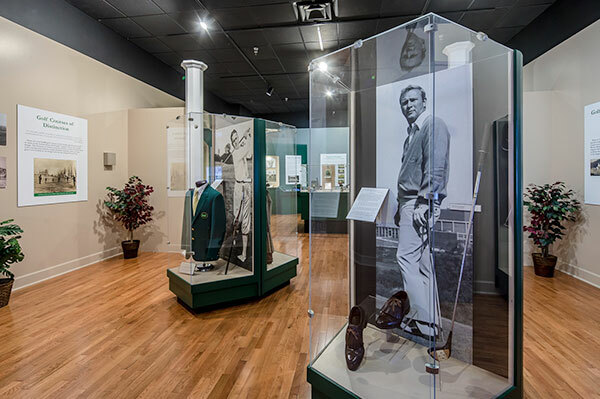 This exhibition will explore who, where, and how the game of golf has evolved over the centuries, the technological advances made, the rich history of golf in the Augusta region, and the people that have made this game so special for so many. Golf in various forms has been played since Rome began conquering areas of Europe in the 1st Century B.C. Various versions of the game can be seen throughout history, having been depicted on ancient Chinese scrolls dated to the eighth century, and in 14th Century Flemish paintings. It is, however, generally accepted that the modern version of golf originated in Scotland. Many famous and notable people have called Augusta home. From Brenda Lee to Oliver Lee and Hulk Hogan to Judy Woodruff, Augustans continue to impact the wider world. 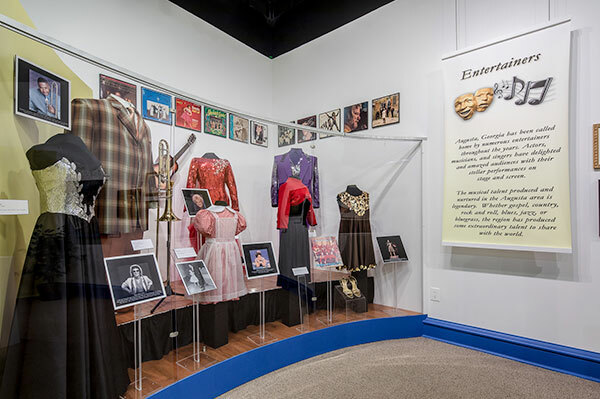 This exhibit explores their impact and inspires you to become a local legend. Learn about the inspiring life of Aquilla James Dyess! 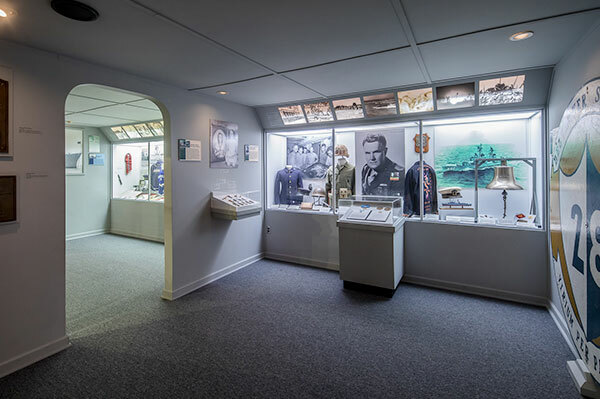 As the only person in history to ever receive both the Carnegie Medal and the Medal of Honor, his life and accomplishments are detailed in this exhibit. Honor this extraordinary Augustan and learn about both the man and his enduring legacy. Augusta was the second city in Georgia to build a hospital and from this humble beginning the River Region has developed state-of-the-art medical complexes that provide cutting-edge technology and medicine for people today. 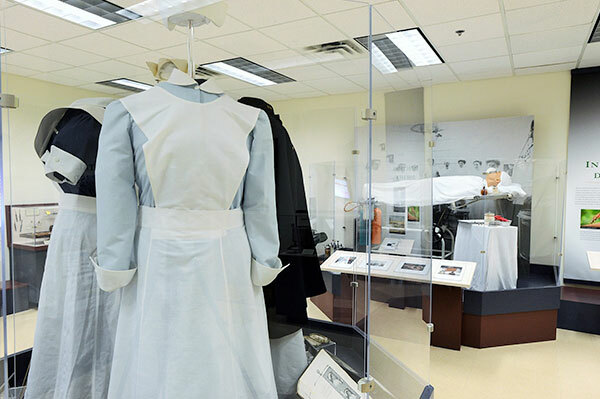 Wander through the evolution of this vital Augustan industry and discover how medical innovations in this region impacted the world. James Brown, known throughout the world as the Godfather of Soul, had a significant influence on many genres of music, including gospel, R&B, funk, hip hop, and much more. While he gained his worldwide popularity because of his music, he is also remembered for his commitment to helping those less fortunate. 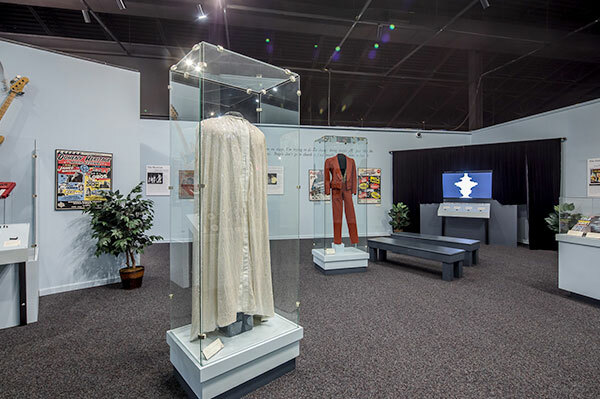 This exhibition celebrates the man, his music, and his legacy. Augusta has served as an important military hub since the Spanish American war. 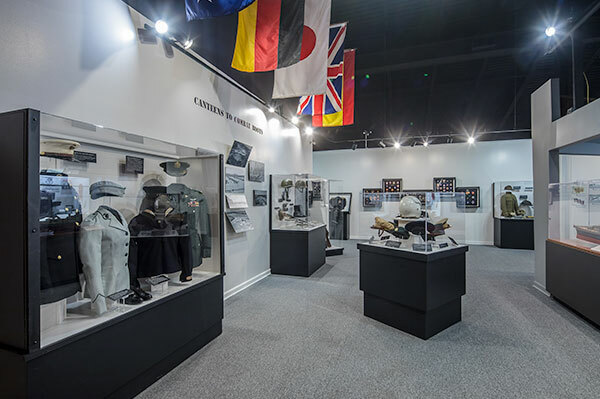 These cases honor Augustan military sacrifice by showcasing service uniforms, rifles, and other gear that soldiers carried into battle from World War I to the Vietnam. Founded in 1947 by George Weiss, WBBQ became known for its innovation, its radio personalities, and its owner/manager. The radio station signed on the air on January 12, 1947. Originally an AM Station WBBQ was one of the first stations to deliver programming on the FM dial by the mid-1950s. Whether introducing a 24 hour news fleet or shifting to a rock and roll format, WBBQ was a pioneer in the industry. 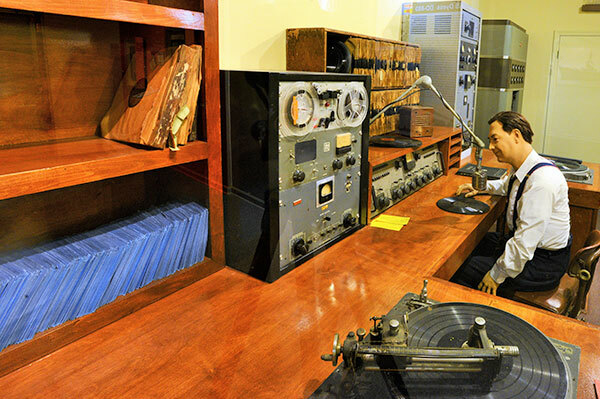 Learn more about how radio influenced the Augusta region within the WBBQ exhibit. This exhibition tells the story of the Georgia Railroad and Banking Company, one of the most important companies in Augusta's history. 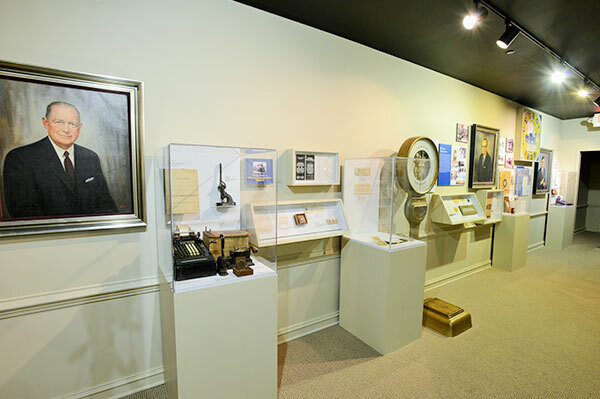 Visitors will learn the history of this influential company through artifacts and pictures from both the railroad and banking sides of the business. 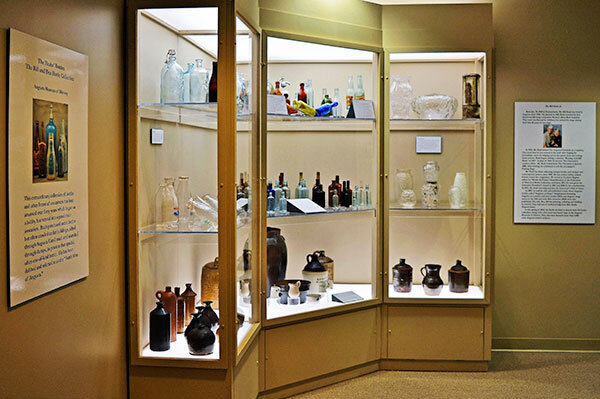 This extraordinary collection of bottles and other forms of containers has been amassed over forty years which began as a hobby but turned into a passionate avocation. Bill Baab purchased some bottles, but often crawled under buildings, sifted through Augusta Canal mud, and searched through dumps, to possess that special, often one-of-a-kind bottle. He has been dubbed and referred to as the "Bottle Man of Augusta."